Congrats!Steven Tyler’s Daughter Mia Tyler Welcomes a Baby Boy — Find out His Name! The Tyler family just got a little bigger! Steven Tyler's daughter Mia Tyler gave birth to her first child with boyfriend Dan Halen — a baby boy named Axton Joseph — on Wednesday, May 10, she announced via Instagram. MORE: Steven Tyler Steps Out With Much-Younger Rumored Girlfriend Aimee Ann Preston — See the Pics! "The love of my life has finally arrived and I am now complete. No words can explain how I am feeling. Just pure unfiltered love," the 38-year-old actress captioned the first photo of herself cuddling her newborn son. Later on Wednesday, Mia took to Instagram again to share seven new snapshots of baby Axton meeting his family. "Best day of my whole entire life. I'm so grateful for my family and my lover for being here and being so supportive. And to the friends and family that came to welcome our new lil wolf cub, Ax, into the pack," she captioned the slideshow of pics. MORE: Liv Tyler Admits — "I Steal Makeup From Dad Steven Tyler!" Mia's dad, Steven, previously confirmed in November 2016 that his daughter and her boyfriend were expecting their first baby together. "My baby is having a baby!" the 69-year-old Aerosmith rocker wrote on Instagram. Steven and Mia in December 2015. Steven welcomed Mia with his first wife, Cyrinda Foxe — whom he was married to from 1978 until 1987 — back in 1978. He's additionally a father to actress Liv Tyler, 39 (from a previous relationship with Bebe Buell), and to daughter Chelsea Anna Tallarico, 28, and son Taj Monroe Tallarico, 26 (with his second wife, Teresa Barrick, whom he divorced in 2006). Baby Axton joins Steven's three other grandchildren: Milo, 12, two-year-old Sailor, and nine-month-old Lula Rose. Check out the gallery to see more photos of famous grandparents with their adorable grandchildren! Susan's daughter, Eva Amurri Martino, gave birth to son Major James in 2016. Susan doesn't like to be called "grandma" — instead, she prefers "honey." "I borrowed this name from a very dear friend of mine who’s from the South, and his grandma was ‘Honey,'” Susan said in 2014. The Aerosmith frontman looked less like a rocker and more like a doting grandpa when his daughter, Liv, shared this photo of him feeding his new granddaughter, Lula. "Papa Steven," she captioned. The comedian became a grandpa at only 47 years old! His daughter, Jane Carrey, gave birth to Jackson Riley Santana in 2012. "This is what 7lbs.11oz. of Calfornia (sic) dynomite (sic) looks like!” he tweeted. The Talk host was captured having an adorable moment with her granddaughter Andy, who is the daughter of her son, Jack. 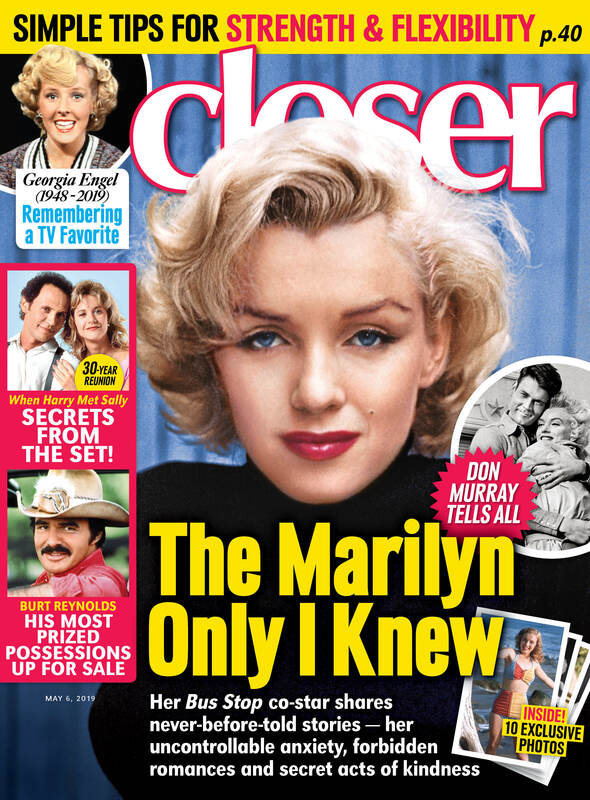 “The second I saw him, I thought he was the cutest little thing in the world,” the former GMA host told Closer Weekly about her grandson, Mason. Their daughter, Chelsea, welcomed Charlotte Clinton Mezvinsky into the world in 2014. The happy grandparents made sure to take tons of photos! "Charlotte, your grandmother @HillaryClinton and I couldn’t be happier!" Bill tweeted. She walked the red carpet with granddaughter Willa in 2013. Daughter Jenna Bush Hager shared this adorable family selfie in 2016. In the picture are her two daughters, Mila and Poppy. When Ivanka Trump welcomed her third child, Theodore James, into the world in 2016, her mother, Ivana, looked more than proud! Gloria welcomed their first grandson, Sasha Argento Estefan Coppola, in 2012. "What's better than this on a Sunday afternoon?" she wrote on Twitter about her grandson. She has five grandkids all together. At only 61, Whoopi is not only a grandmother but a great-great-grandmother! "Everyone meet the new addition to my family Charli Rose," she wrote on Instagram. NEXT: See Pierce Brosnan, Jim Carrey and 10 More Stars Who Are Surprisingly Grandparents!